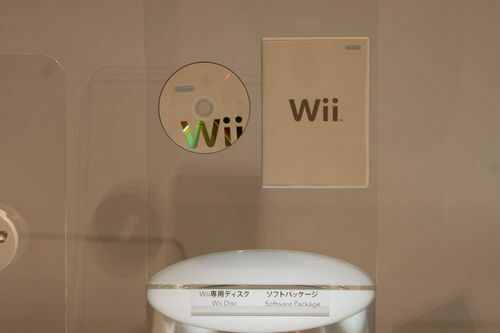 With Pricing details revealed, Nintendo also touched upon a lot of the console's features and have uploaded the Wii presentation shown to the Japanese press. 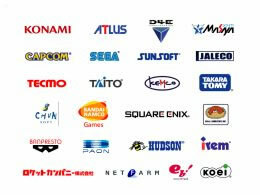 The company discussed the Wii interface, virtual console, channels and a lot more. Inside we have a summary of what was said. 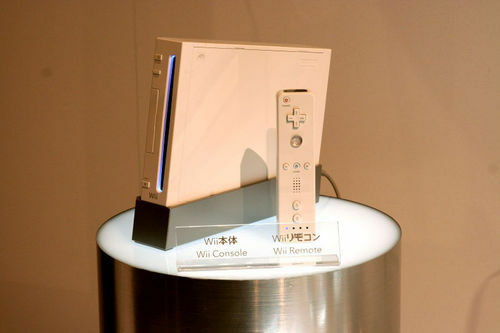 Earlier today Nintendo held the much anticipated conference in Japan, unveiling the Wii, its launch specifics and various tidbits about what the console can do, aside from playing games. The company revealed how a user would operate the Wii, some various details on how the Virtual Console would work, and many more neat interactivities for your home entertainment setup. Initially Nintendo discussed their decisions, thoughts and inspirations that lead up to the Wii, the company � as they've continually said � "Expand the game population" as their key and core strategy. To do this, the DS was born. At this point Nintendo touched upon the DS's expansion, how it's performed beyond expectations, etc. The success of Brain Training and other "non-games" were discussed, and how they've expanded the industry to include all sorts of people. 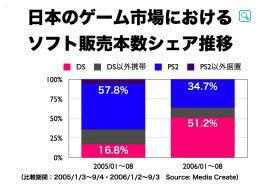 "As for the video games, a lot of female users entered the market that was the man dominated up until now, and to accept people of a wider age range. Iwata discussed an interesting point whereby he noted that the DS has dramatically expanded the number of people that can play together on a portable platform. In the past this was typically limited to two, and the hardware developers wanted to "escape" this. The DS offers a simple and effective way to recreate the multiplayer success of the home console (examples stated were Smash Bros, Mario Kart and Mario Party), on the move. According to Nintendo's investigation, the typical number of players in a family has increased - "The number of users a family had increased. There are a lot of numbers of users a family" to prove that they've met some of their aims. "Touch Generations" was created to work with this strategy on the Wii and DS � include many more people in the gaming scene. Launch Date: 2nd December 2006. Includes: Wii console, Wiimote/nunchuck, cables. Launch Date: 19th November 2006. Includes: Wii console, Wiimote/nunchuck, cables and Wii Sports. 25 Titles at launch, 30 by the end of the year, priced at around $50. To be announced on Friday. 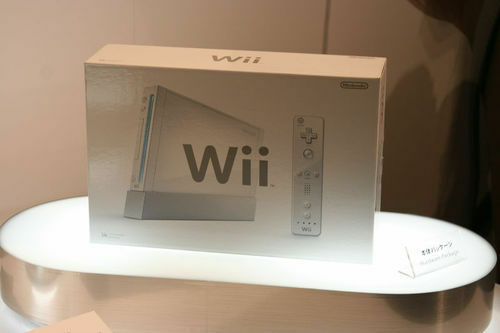 Nintendo revealed the Wii's additional features earlier this morning. The Wii's interface will use a series of channels to store interactive features and applications. Examples of channels would be checking the weather, shopping, news/travel updates and an interactive memo board. Virtual console service will feature 30 games initially, 60 before the end of the year. More than 24 companies will support the system. Players can design avatars/characters that they can store and remote, adding these to certain games (Wii Sports for example). Opera DS will be fully compatible with the Wii, allowing for technologies like Flash and AJAX to be rendered fully. For a full summary, read on! Nintendo commented on their Virtual Console plans in their presentation, highlighting that over 24 companies will be supplying games to the service. + Virtual Console sales are done online electronically. + There's no stock issues, games are always available, and at minimal cost to the company and users. There's no physical elements to consider in the cost, so prices are kept minimal. + It was previously announced that games will cost in the ($5-$10 US) range depending on the platform. 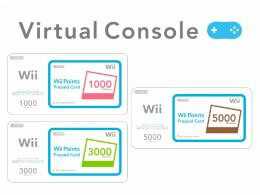 + To pay for gamers players use "Wii point cards" that can be electronically topped up in stores. Paying for games directly using a credit card online directly is uncertain. + Once a game is purchased, the system charges the unit. + Nintendo have prepared over 30 titles in their starting line-up, around 60 with Sega and Hudson's line-up, before the end of the year, more being available each month. + Around 10 titles a month will be added to the system. + The Wii's interface, as previously revealed, will have a series of channels (applications/interactive services) that can be added to the system. + There is an already confirmed selection of channels that come as standard on the Wii. Currently the channel line-up is the weather channel, and a news channel, shopping channel, disk drive, a character channel, a photograph channel, and a virtual console that starts the game disk. + Users are able to point and select an option on screen using their Wiimote as a selection device. +Videos of the channels in action can be viewed here. 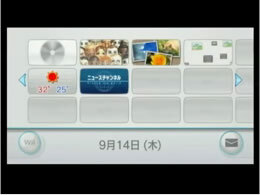 The Wii was also announced to contain a "Photo channel" where players can use images stored on their SD cards to present images on screen. + The Wii-mote can be used to manipulate images, through colour settings, zooming and various other on-board settings. + Functions like cropping, combinding images, editing colours etc are all present in this mode. +Videos of this mode can be seen here. Weather has become a key feature in society since time begun. Will you need to take out an umbrella? Can the family visit the beach today? Would it be fine to prance about naked? 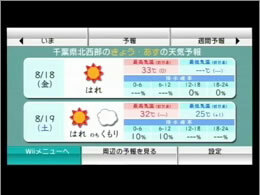 + The Wii has an onboard weather channel where weather forecasts are automatically updated (if the Wii is connected to the automatic update service � Wiiconnect 24). + The Wii-mote can be used to select options, display maps and navigate all through the system itself. Videos of the weather channel in action. + Nintendo and Opera previously confirmed that the Internet will be viewable on the Wii, but with a unique interface. The browser retains the ease and simplicity of the Opera platform, offering a way for the family to enjoy surfing the Internet from the comfort of their living area. + The Wii connects, wirelessly, to an Internet point � much like the DS version � however is far more capable than it's handheld counterpart. + Nintendo have confirmed that the Wii Browser is much like the desktop version of Opera, virtually displaying pages as they would appear on a computer. + Opera Wii supports technologies like Adobe (Macromedia) Flash, and also AJAX � a system employed by Google Maps as an example. + The software is said to be available to download within a year (according to translations), and will be available Free � as with Opera's other platforms. Need to leave a message for the family to see? The Wii features an interactive notice-board that allows users to leave messages on the system for others, Nintendo claiming it will replace "memos left on the fridge". 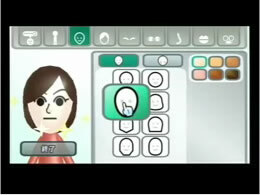 the Wii provides an interesting interface that allows players to design a character using the Wii remote to select options. These characters are said to be available in various software available for Wii � Wii Sports anyone? The characters can be stored on the Wii-mote, adding personality to the tiny plastic controller. These can be taken to friend's houses to take your character on the move. + Wii sports will come with 9 sports to introduce players to the system, sold for around 4,800 Yen in Japan.